I would definitely go with some garlic cloves. That is a must! I might try a little tumeric, too. A little carraway seed might be interesting…..
Great, thanks for the post Mittie. Let me get this right. 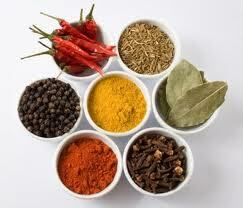 Garlic, Cloves, Tumeric, Caraway. the 1st time i had kimchee was in the early 80’s while visiting hawaii, even though this is a korean dish. it is a very healthy dish, and i have recently been buying fresh made kimchee at the buford hwy korean market. Thanks for the comment Tony. I haven’t had Kimchee at the Korean market, but I can imagine that it would be great. I thought I’d try just once to make my own if only to say I did and to understand the process better. How about scotch or balsamic? I know scotch and balsamic aren’t spices but it will give it a unique flavor and you could put a couple of pieces of fresh oak wood to give it that barrel taste. 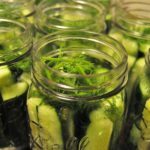 For our dill pickles, we always use canning salt, bottled water, not tap water & always use alum to have the crispy pickles. 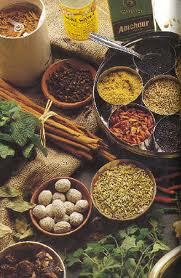 The other spices we use are garlic, dill, hot peppers, sometimes mustard seeds. 2 vinegar to 1 water ratio. 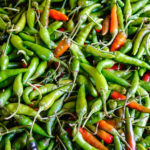 use wattermelon insteed of cukes add onion powder,garlic powder,sugar,dried mixed bell peppers,dried horseradish,celery leaves, and a dash of liquid smoke let sit in fridge several days are soooooooooooooooooooo good……. use wattermelon insteed of cukes add onion powder,garlic powder,sugar,dried mixed bell peppers,dried horseradish,celery leaves, and a dash of liquid smoke let sit in fridge several days are so good.. Yes, this is a wordpress premium theme with 12 widgets. I’m glad you like it and thanks for following.